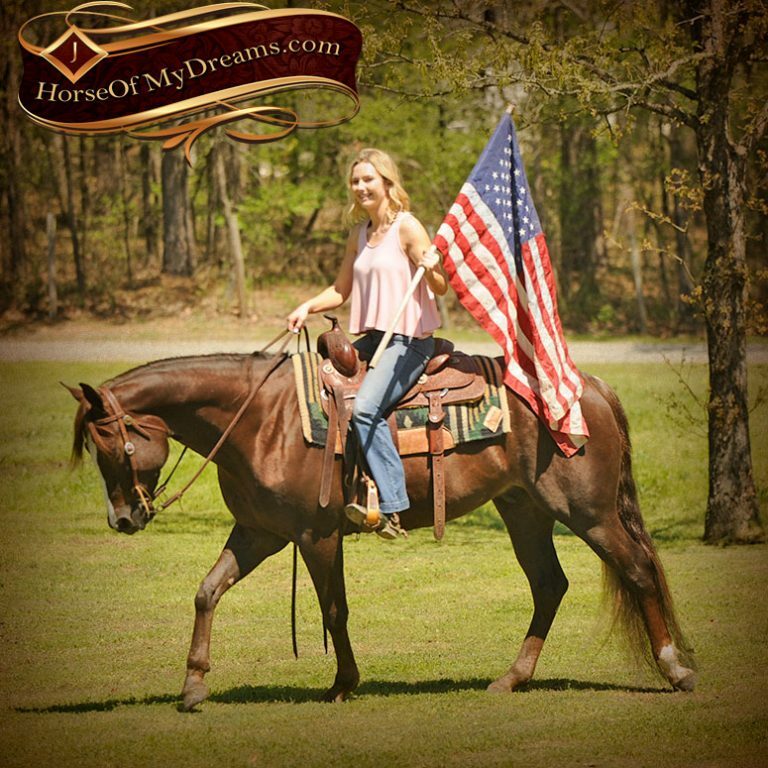 Thank you so much for visiting our website, Horse Of My Dreams is a small family owned and operated horse business with an immense passion for pairing amazing families with the horse or pony of their dreams. 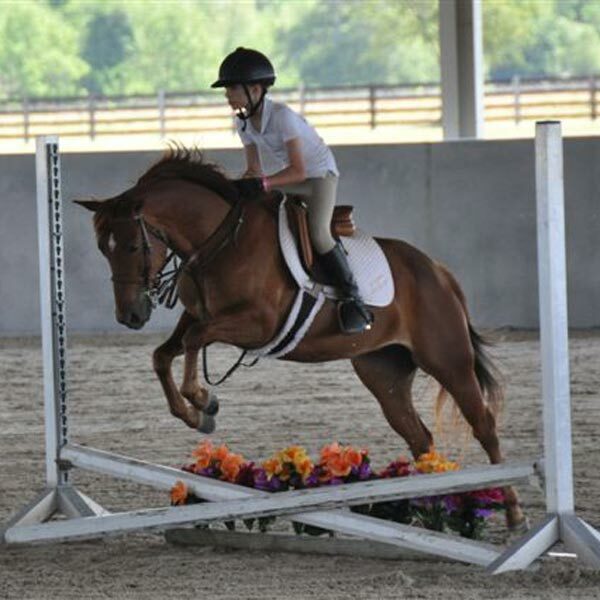 We have a program geared towards turning out great natured, “Bombproofed” arena and trail horses and ponies for beginners, kids, and riders of all levels. 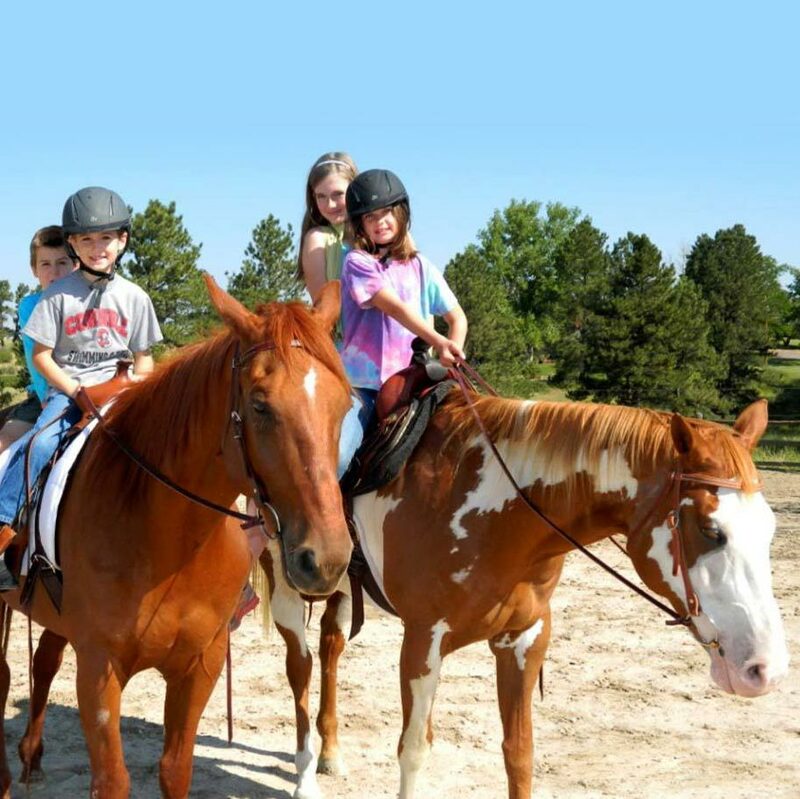 Whether you’re looking for a great family trail horse, kids horse, ranch horse or a performance horse we can help you find the perfect fit. Although we specialize in safe all-around ranch horses, we also personally ride reining horses, and we even work with english horses, so whatever you’re needing, we can help you! 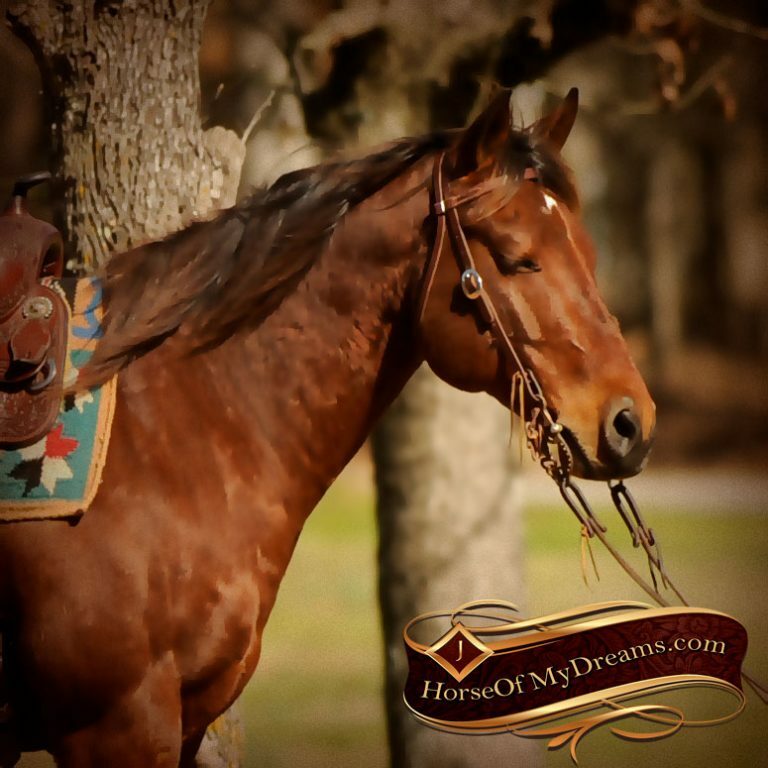 Because every horse has such a unique personality just like families and riders have unique personalities, we really prefer and enjoy talking to our customers personally to help work through the process. Our goal is to ensure the perfect match every time; therefore, we offer a 30-Day Guarantee to all of our customers AND shipping costs are included with the purchase of every horse or pony. Please call us to start the process!! 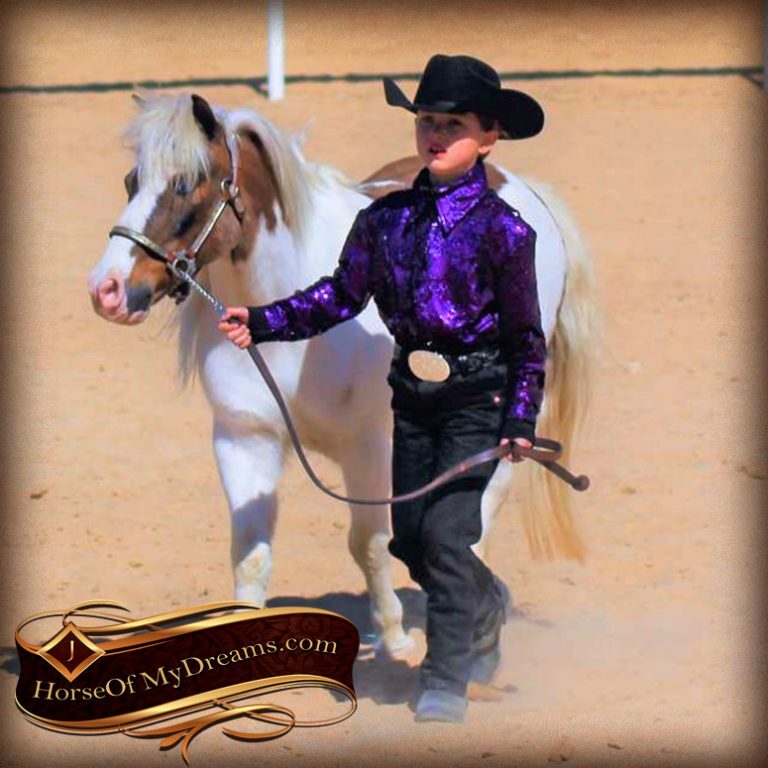 We encourage you to learn about our family, view the horses for sale and ponies for sale and discover the unique philosophy that has allowed us to be the nation’s premier source for beginner safe horses and ponies. We have sold horses and ponies all across North America and beyond. 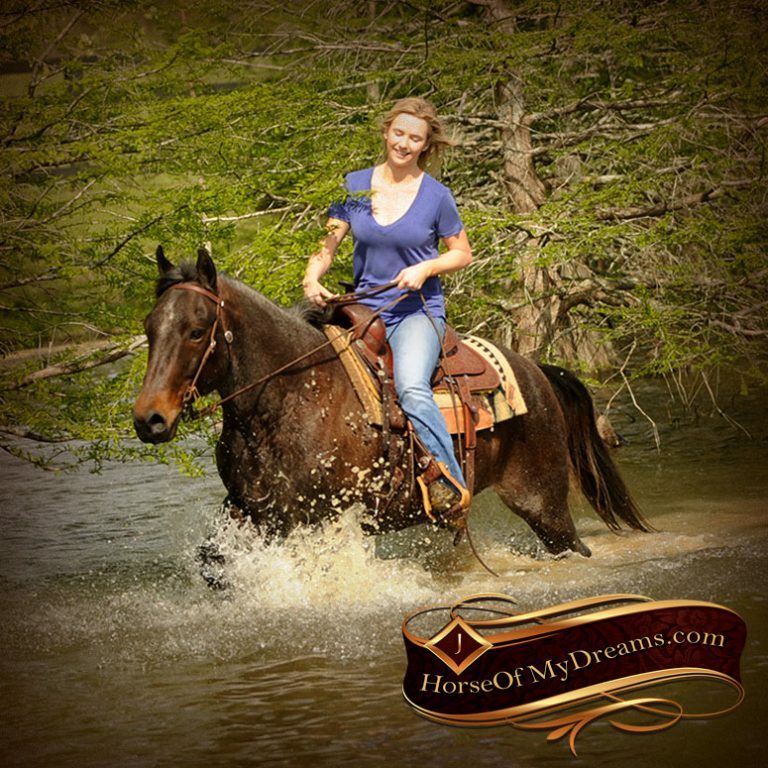 We invite you to read the testimonials and updated photos sent to us by the many families who we’ve had the privilege to help find the horse of their dreams. Whether you’re looking for a horse for sale in Texas, California, Colorado, Canada, or anywhere in the world, we can help you. We look forward to visiting with you! Wow…. It’s amazing what a few hours of rest will do for the body after ~1200 miles of traveling. Santa has been really busy this year and spent many hours on the road. I just don’t know how he keeps up that rigorous pace… LOL! It was an amazing journey and outstanding success by the time I reached the trails end. I want to sincerely thank you and your beautiful family for all of the hospitality during my visit! What an amazing facility you have with what seemed to be an endless line of high end quality horses! Which was what drove me to make the trek across the country to see if it’s all that it’s cracked up to be. From the time I stepped on to your property and was greeted by your family, I knew I was in the right spot. After traveling a little more than 8 hours I was ready for some positive reinforcement J! It was way past dark, matter of fact, I never saw any part of Arkansas in the daylight on my drive in. That didn’t hold us up. We were able to spend quality time getting to know each other’s family and I have to say I was impressed with the sincerity in learning about my needs in a horse for my twin 7 year old daughters. Great time was spent sharing specific attributes and abilities I respect and expect in a horse if he is going to be carrying my most precious cargo (Waverly and Sarah) aka.. the princesses of the Twin W Ranch! J Safety was premier in the conversations the entire time I spent at your place. One thing for sure WE were all aligned with was the fact that if we couldn’t find a safe fit, we didn’t need to do business at all and at the end of the day, the friendship we gained along the way would be well worth the trip. After getting to know each other we went through the barns and selected the top 6 horses to best fit our needs. 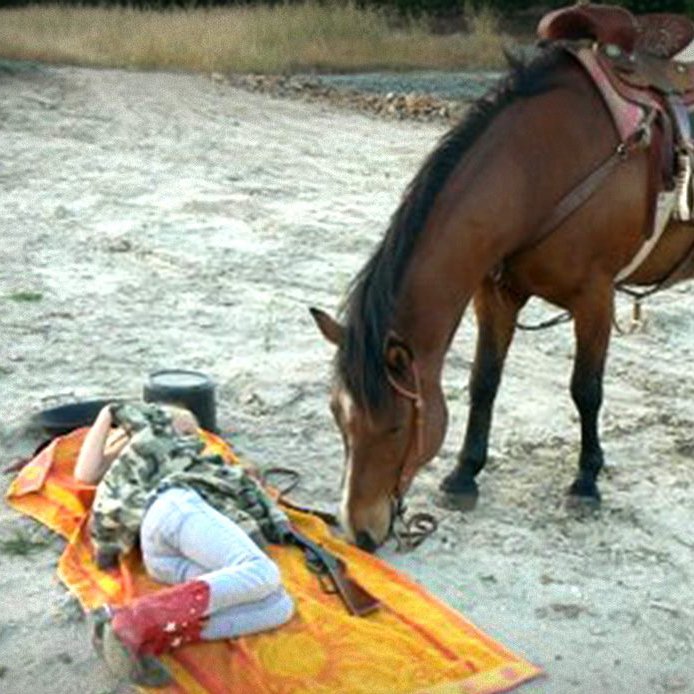 Hats off to the Real Horse Whisperer, Isabella! I am so thankful for her time and help throughout the entire stay. I spent most of my time in the covered arena talking with her about the different animals and sharing her perspective on each and every one. I knew by looking into her eyes that she was very honest and trustworthy and therefore she was very instrumental in my selection. We spent much time having personal conversations about her experiences with the horses and her opinions related to the different qualities each possess. She was amazing and a pure delight to work with… Lord only knows what she was thinking when I asked her to continuously work the horses through different activities/rigors. She never blinked an eye for any request and happily engaged in all aspects of the trials like a true professional even though we were approaching the midnight hour. Isabella definitely has a gift with horses and is truly blessed to be surrounded by the animals she loves as well as a true blessing to this facility and business for all she does to take care of the horses and educate the clients! After all, she is the main attraction on all of the mounts in the videos and pictures LOL! Overall a great trip, I met some friends for life, found a “Horse of My Dreams” and an opportunity to share all of this with my family and specifically my girls! If you’re ever in our neck of the woods, please stop by and we will return the southern hospitality! I have attached a couple pics above to get to know the family. Thank you a hundred times! I don’t know where to begin!! First off I’d like to say that I am an extremely nervous rider. After being bucked, trampled and thrown off of other horses, I never thought I’d be able to trust a horse again! That was until you and Kingston came along!!! Your videos were completely accurate! If there is such a thing as a bomb-proof horse – Kingston is it! Skeptical at first, but after spending just my first day with him, we fell in love!!! Kingston is my go-to man! He rides English for me, and he is such a sweet loving boy. I’m surprised you didn’t name him ‘Puppy’!!! He follows me everywhere and he is now teaching me how to ride Western! He has great manners and loves on me all day long! I also want to thank you for helping me through the process of getting Kingston in, since I am in NY!!! He is sweet to the other horses and he is just perfect! Thank you so much Alisha, I can’t wait to continue spending everyday with my new boy! We truly are a perfect match! With my busy summer I have not had an opportunity to write you to tell you what a great experience our daughter Katie has had with Mr. Bojangles. They have become best friends, and he is a special horse. We thank you for your help in making Katie’s dream come true. Mr. Bojangles is a special member of the family and he is in good health. Although our dryer climate does not lead to as many cases of west Nile virus as they have in some parts of the country, we are keeping him vaccinated. His vet thinks he is adorable. Words can not describe the safe enjoyment we are experiencing with Elvis! 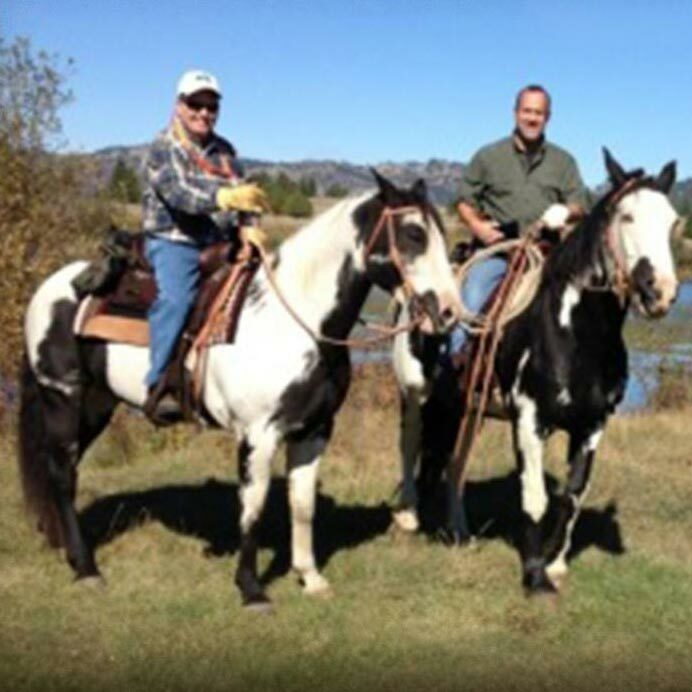 You located just the right horse for our Montana Ranch Operation. Elvis is amazing with people, cows, rivers and mountains! And although I pressed you hard on Elvis’s qualities as a general ranch horse. I have to say we harvested a Bear from Elvis back this fall on a Hunt trip in Montana and Elvis never moved from position! During the hunt trip we took Elvis into the “Bob Marshall” wilderness for 5 days. Elvis negotiated the terrain, climate and riders like a true champ. While I know no one can ever guarantee every horse is right for every rider, terrain and circumstance, I have to say, you hit it out of the park for us sending Elvis to our ranch. Further I want to thank you for taking the time to choose the exact right tack for Elvis and the terrain in Montana. The tack worked very well. You went so beyond the call of duty for us not only in locating and training Elvis, making shipping arrangements to Montana!! All within weeks so we could get our fall hunt trip into the Montana Wilderness. I also want to thank you for agreeing to sell us the Palomino we had asked you to ship. We respect your advise the the Palomino was not yet Montana ready and you are going to put another 6 months into her before you ship. I am so personally appreciative of your forthrightness about your horses and the individual preparation they need. As you know this summer, we had a couple of “train wrecks” on our ranch and when we went to work trying to locate some new horses that were as the old Montana cowhands say “bombproof” we just kept circling back to your families training and expertise. And while, after 50 years around horses myself, I know to many variables exist with horses, weather, rider quality, terrain, horse and people physical and emotional health. I can truly say, Elvis is as good as it gets!!!! We look forward to working with you and Richard again in the spring on the Palomino and in the future on the next “Desiree” quarter horse. I so appreciate you taking the time to locate a “Desiree” and not just trying to sell me any horse out of your stock. I recognize this takes a lot of time and talent and few folks have the “horse eye” to get us what we need to be safe and have enjoyable experiences. So from our family at Wingspread ranch a big thank you! You found the PERFECT match for my daughter! Freedom is everything you said he would be AND MORE. 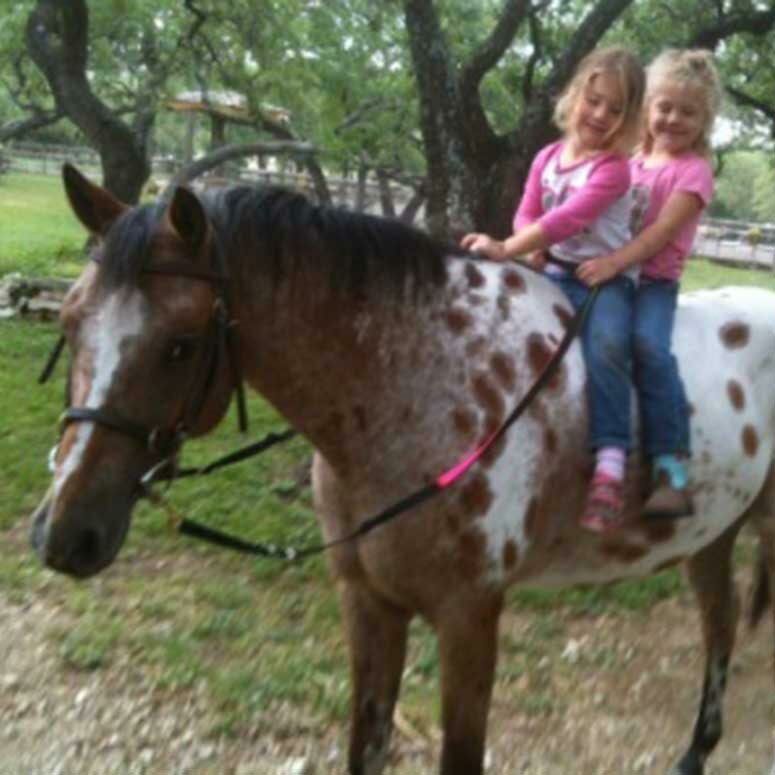 They are best friends and do everything together…I love watching them on their adventures around the ranch. I was a bit hesitant buying a horse “sight unseen” , but your guarantee on all your ponies put my mind at ease. It is so incredible to know that there are trustworthy horse people still out there finding great ponies for kids. I can tell you love what you do and it truly shows in the effort you put forth in making suitable mounts for kids. I am incredibly thankful I found you, and you found our Freedom! He is everything we were hoping for. 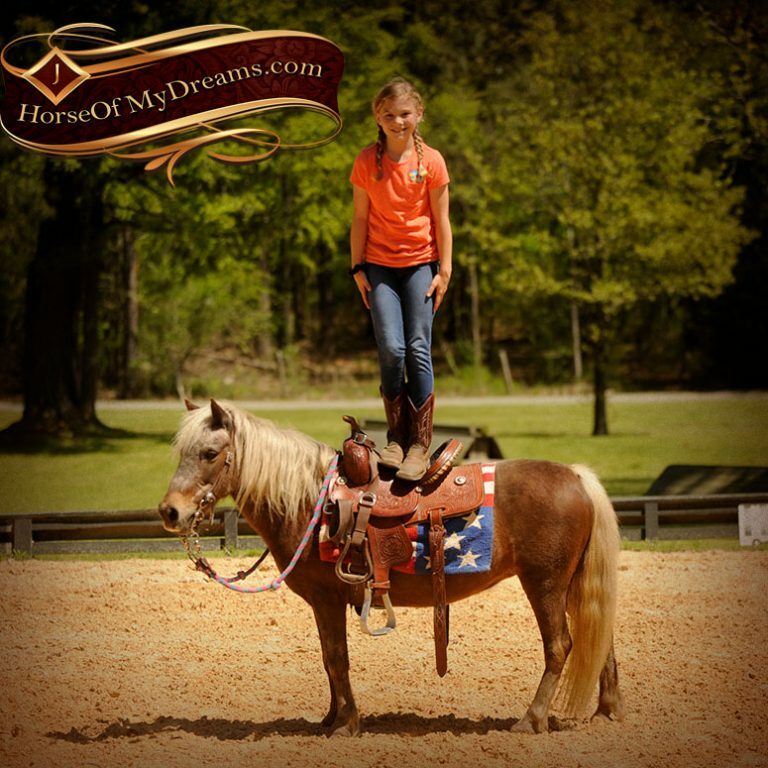 We recently purchased 3 (very different and equally amazing) horses from Alisha- one for myself, one for my 4 year old daughter and a mini pony for my 2 year old to familiarize her with horses. 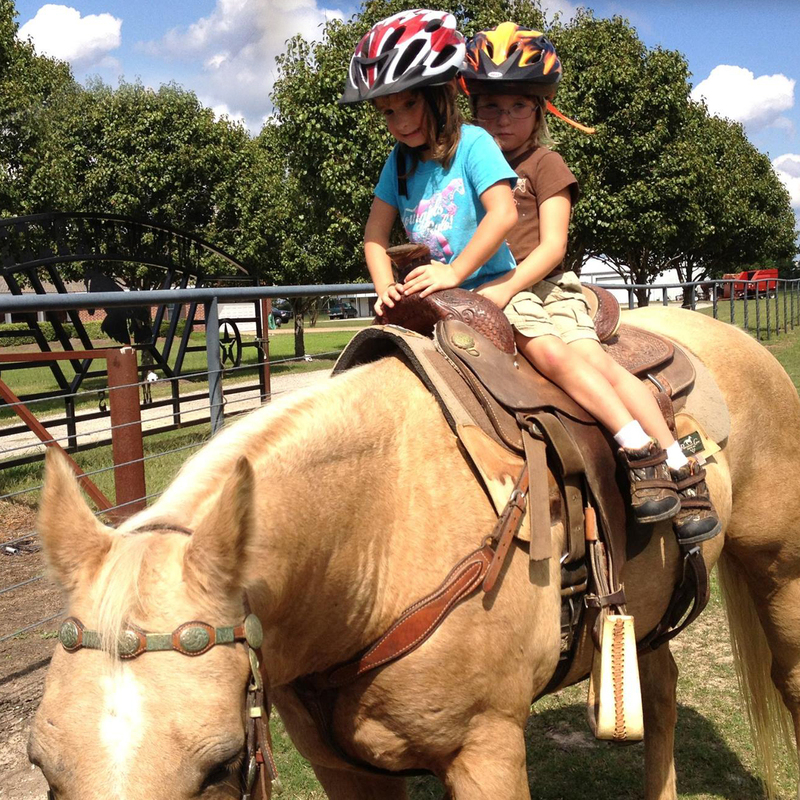 I spent an immense amount of time researching horses when we purchased our farm. 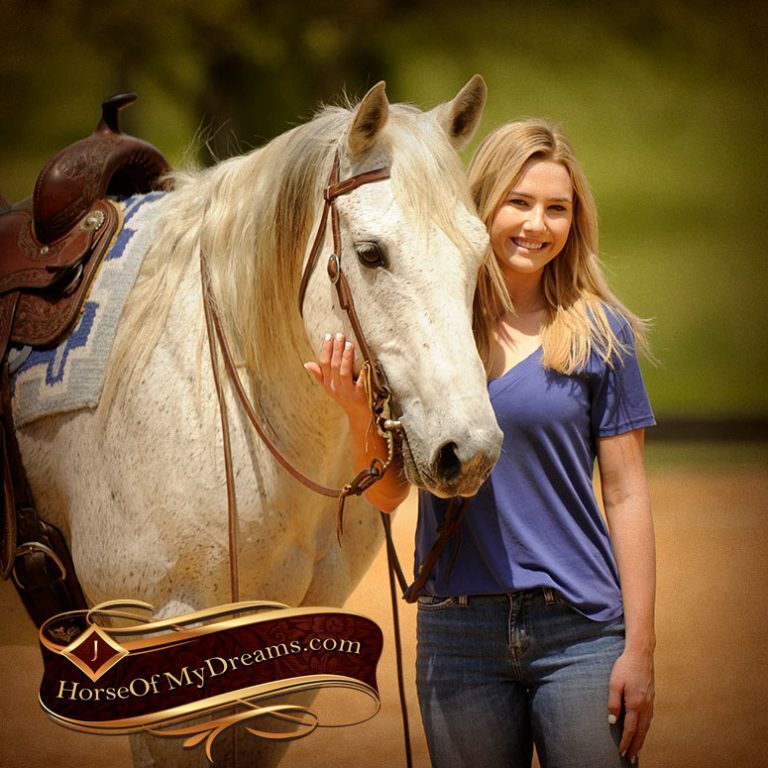 While it seems crazy to purchase a horse sight unseen, because of the great marketing Alisha had done and the extensive videos she supplied for each horse, we decided to use her for this purchase as she promised we would be getting bullet proof horses. She spent a great deal of time listening to my requests for each of us and truly delivered what she promised. We are all absolutely in love with our horses and would highly recommend her to find a wide range of performance horses with the very best temperaments. The horse I purchased is one of the more expensive horses she sells and Frosty is truly a beautiful, sweet natured gem with great athletic ability and a fantastic jumper! 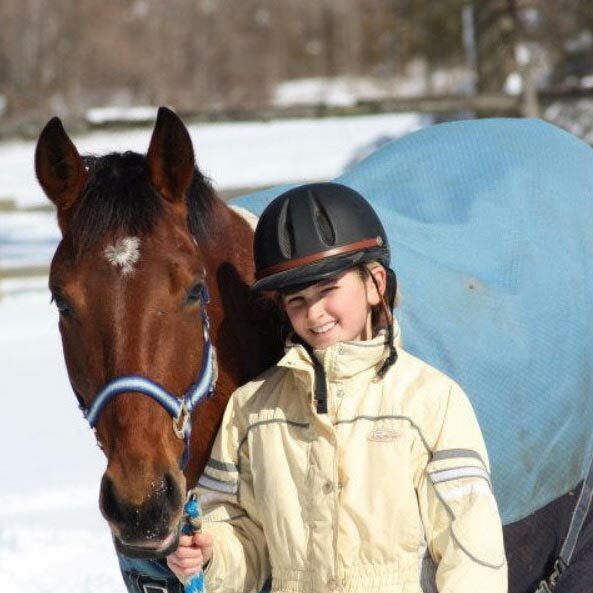 I am very thankful to have found Alisha and would recommend her to anyone looking for a horse you can trust. It’s Brooke the person who owns Mr.Breeze! I am so proud of him because he is such a special horse! He is now jumping 3’3 with his trainer and loves it more than anything else! I am now jumping 2’9 with him regularly and sometimes higher! He tolerates anything and we ride him double out in the open fields and we stand on him and everything! He just stands there and looks back like hay what are you doing? and then he’s like whatever! He is more than I could have ever asked for and I love him! He also did his first beginner novice event last year and won first! 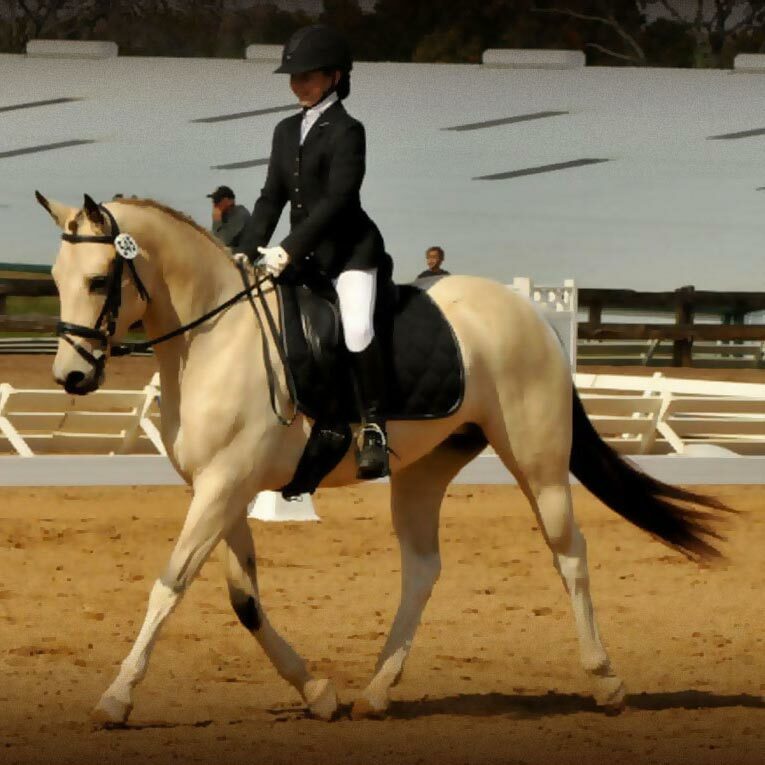 This year he is going novice and I am soooo excited! I will tell you how that goes! I attached some pictures some are old and some are new some hope you enjoy! There’s a lot! 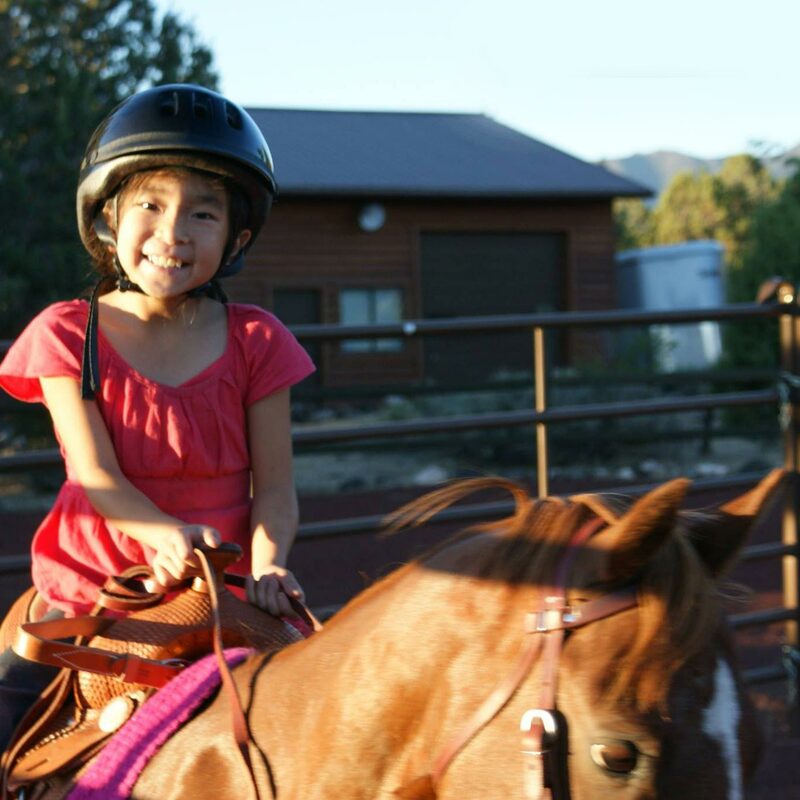 Thank you so much for helping us find the right pony for Annalyn. I appreciated your endless patience, countless phone calls, and excellent horsemanship knowledge in finding the perfect match for our riding ability. We have both enjoyed riding Flicka. She has been ridden mostly English and some Western since we’ve had her the past few months. Annalyn won 1st place in a schooling English horse show in her division. Flicka and Annalyn will defintely have a lasting friendship together. Thanks so much for ALL your help! Thank you so much for our darling Electric Blanket! We have named him Takota. He is doing very well and my girls love him. For all those people ho are worried about buying a horse or pony without seeing him, you can trust Alisha. I was a nervous wreck I have to admit but I told Alisha exactly what I wanted and she delivered for me. I am a trainer myself so I am extremely picky. Takota is kind and patient with my girls. Alisha answered all my questions and helped put my nerves at ease. As you can see by the pictures he is very gentle. Thank you for him! !